Sell material or install vinyl siding, aluminum soffit and fascia, five or six inch guttering, blown fiberglass insulation, premium vinyl windows. Clothing and western store where you'll find something for the whole family. 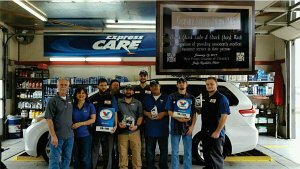 Oil changes in mins.,Transmission serv., coolant flush & fill, fuel fliters/ fuel system cleaning , Tire rotations, Service 4x4 gear boxes, Replace micro-v belts & radiator hoses, Aquapel glass treatment, Replace headlights/cleaning, wiper blades & more. One in three families struggle to provide enough diapers to keep their babies clean/dry. We are a volunteer organization which distributes diapers to agency partners who serve those with "diaper need". We rely on contributions from the community. West Plains Downtown Revitalization, Inc.